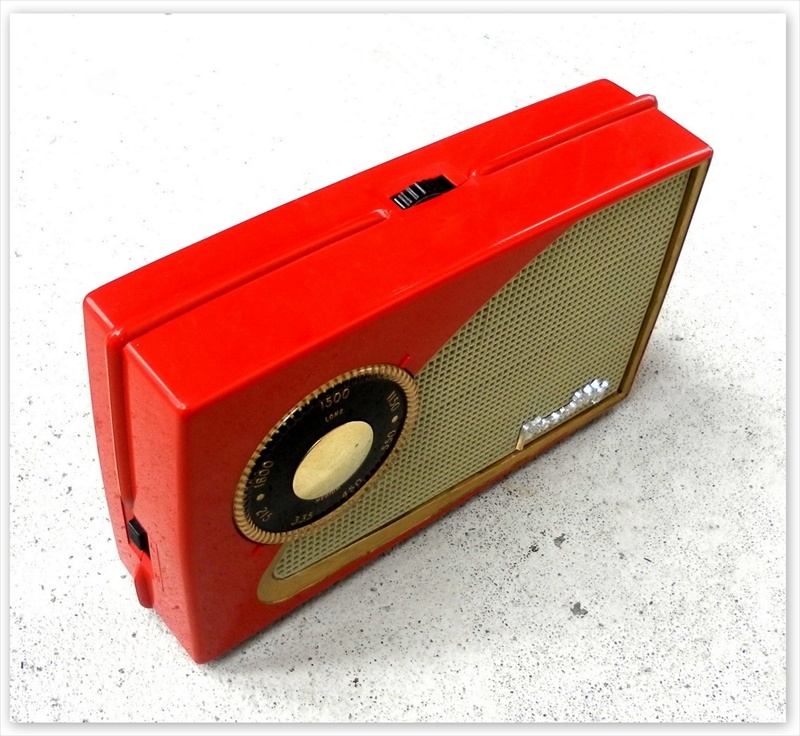 The Perdio Piccadilly (PR721) 7 transistor 'pocket' radio was released onto the market in August 1959. It was manufactured by Perdio Electronics Ltd of London. 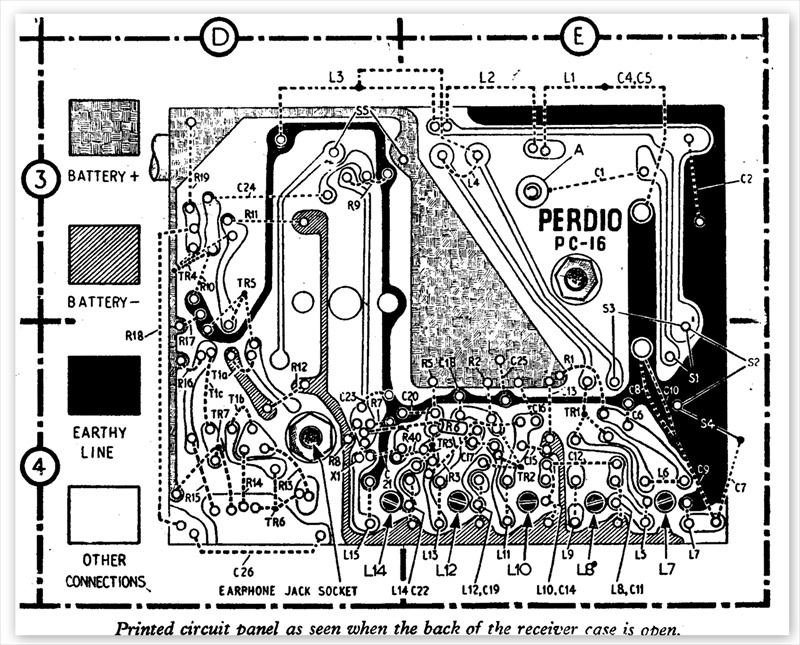 Perdio is derived from PERsonal RaDIO and was established in 1955. 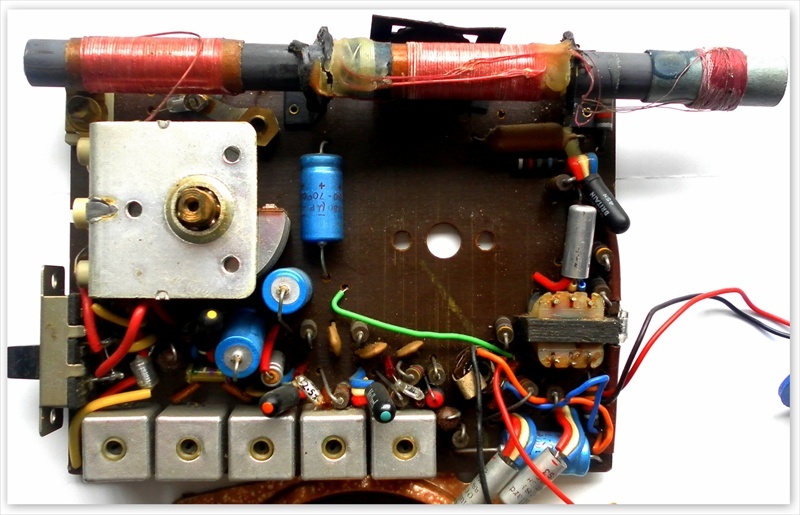 This new company never made tube/valve radios and were wholly committed to the new transistor electronics industry. They also manufactured portable TV's and record players. In sales brochures the Piccadilly was referred to as "The Mightiest Midget of Them All!" 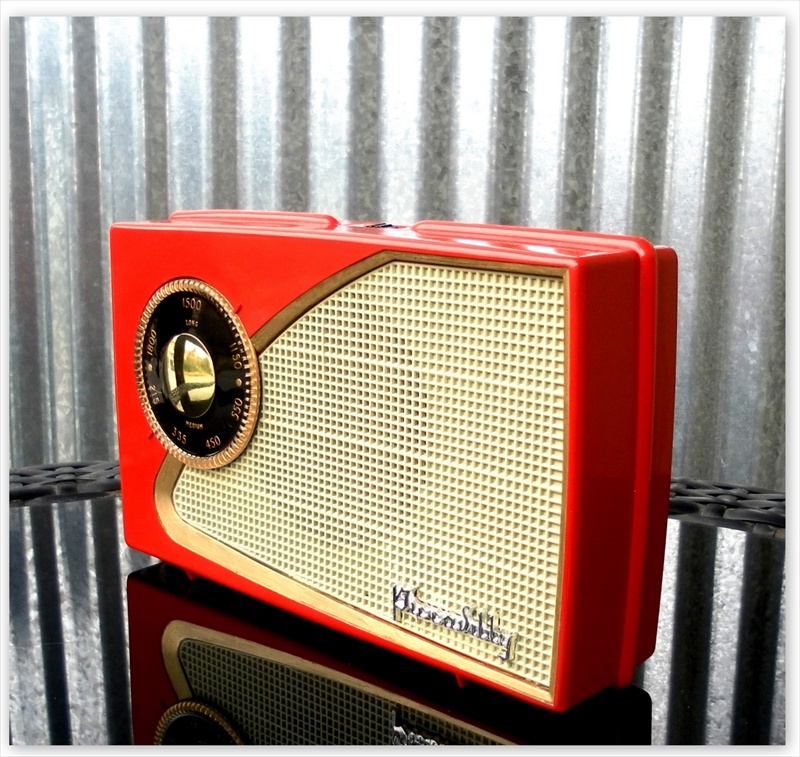 In 1957 they released their first radio, model PR1. It probably wasn't the success they had hoped for as the following year they made a loss of £8000 (1a). In 1958 they released the Super 7 (PR7), the first of four radios that used the same chassis (PC-16) as the Piccadilly. The Super 7 was sold in a standard rexine (*shudders*) covered cabinet or alternatively the deluxe version was available covered in leather or pigskin. 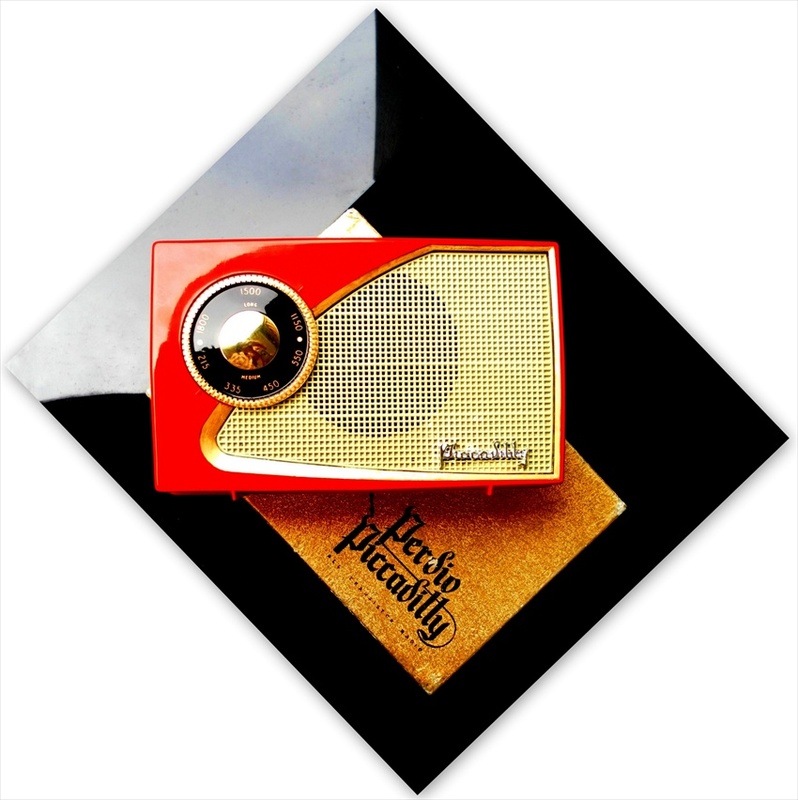 After the release of the Piccadilly, Perdio offered the third radio in this series, the Park Lane (PR23) in January 1961. 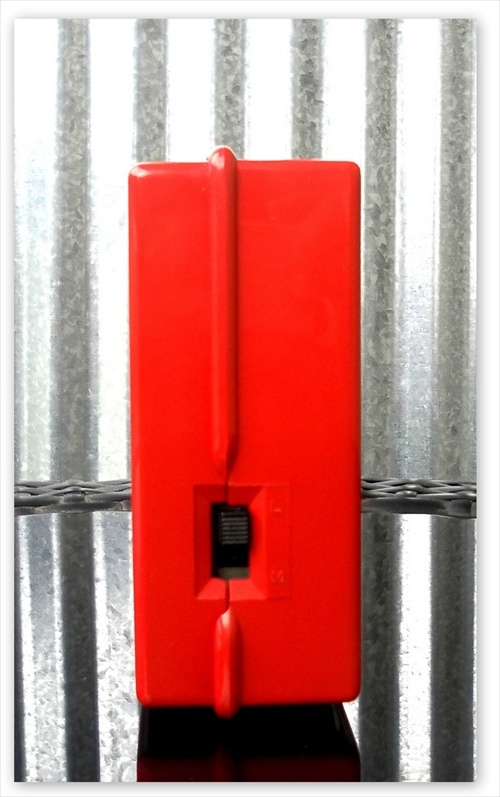 It was another rexine covered radio reminiscent of earlier square lunchbox examples with its handle on top. The Park Lane was also sold under the name 'Challenge'. 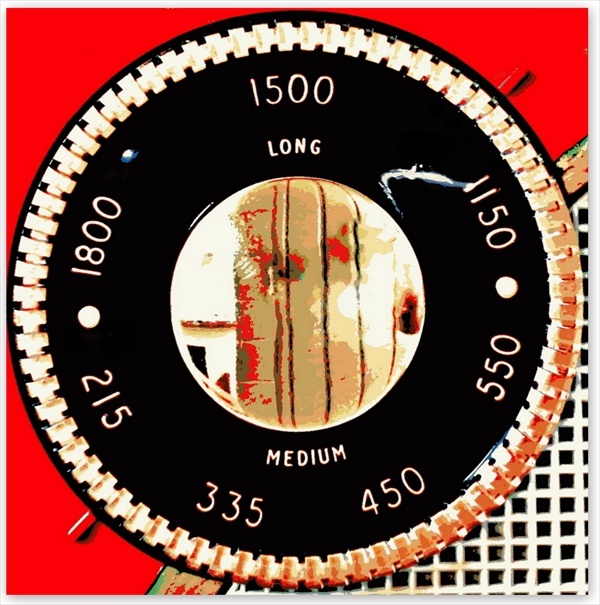 It was March 1962 that Perdio offered the last radio to use this chassis, the modernistic londoner (PR30) in a simple perforated plastic cabinet (1b). 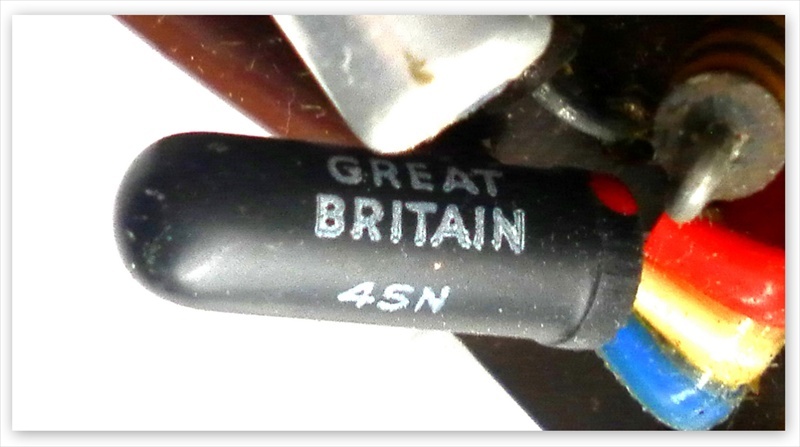 I have also seen the Londoner branded as a 'Sparton', with PC-16 stamped on the circuit board. 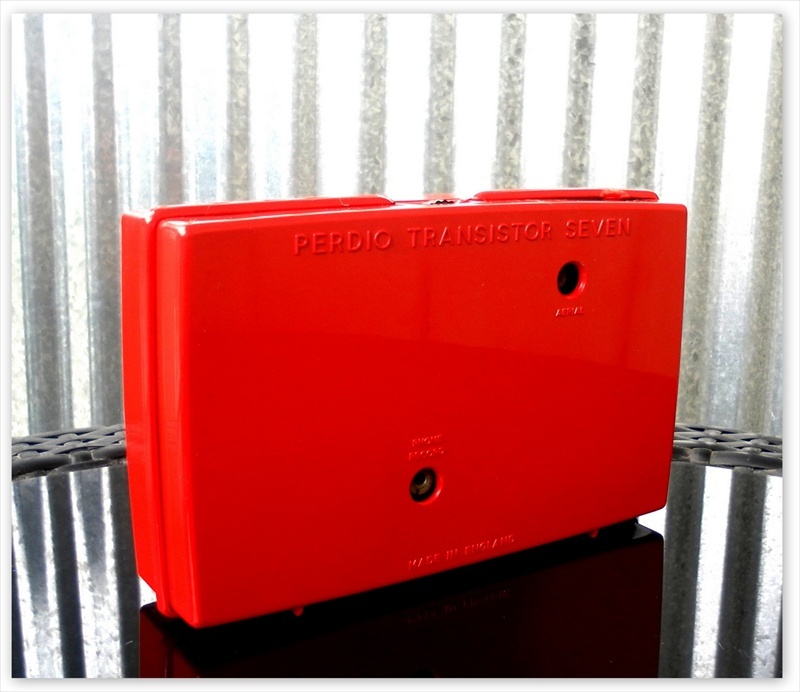 Perdio were doing well, business was brisk, transistor radios were all the rage and that year they made a profit of £172,000. In 1963 Perdio built a huge new 115,ooo sq. ft. factory on the Pallion Industrial Estate in Sunderland. Perdio moved their operations from a number of London sites to this one location. It was a risky venture and the company ended up losing £279,000 in profits that year (1c & 1d). 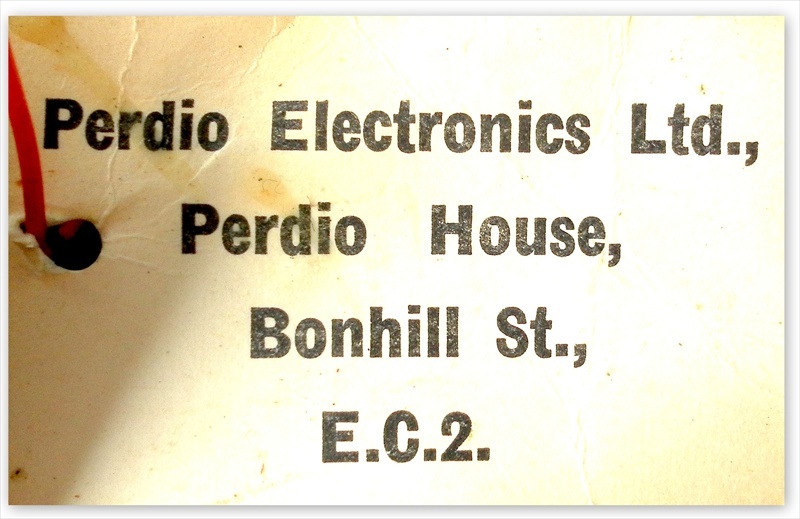 In 1964 Perdio began importing some radios and re branding them but it was also reported in 'Electrical Times' that their domestic production "has been and is increasing" (1e). Perhaps it was increasing, but not quickly enough it seems, for in 1965 they vacated their factory and went into liquidation. Their speedy demise was complicated by a failed takeover bid but in reality they simply could not sustain profitability and folded under intense pressure from foreign competition; principally imports from the Far East. 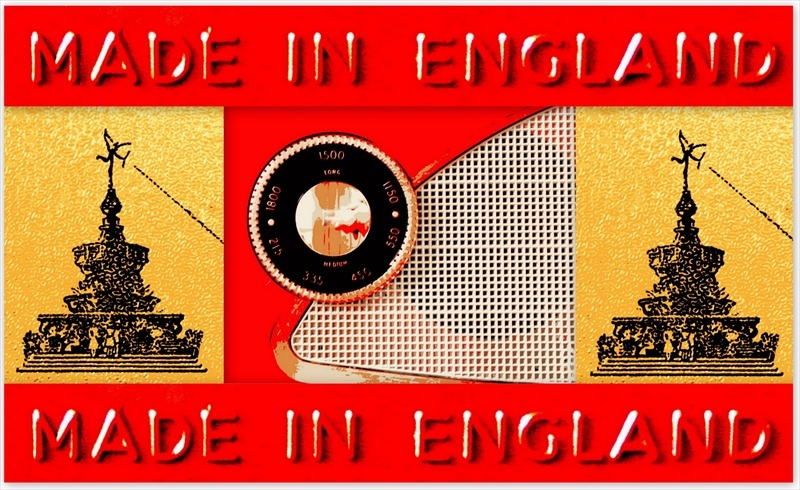 Imports from this part of the world now accounted for 50% of all transistor portables on sale in England. Following their collapse Perdio sets were ironically made in Hong Kong and bore the legend "Empire Made". Radios bearing the Perdio logo continued to be churned out until at least 1972. In all Perdio made at least 56 different models between 1957 and 1972. 1) Aqua blue with gold trim, a light blue speaker grill and a black and gold tuning dial. 2) Light grey with gold trim, white speaker grill and a red and gold tuning dial. 3) Red with gold trim, a cream speaker grill and a black and gold tuning dial. The speaker of my red example may originally have been coloured grey as that's the colour beneath the silver 'piccadilly' badge. 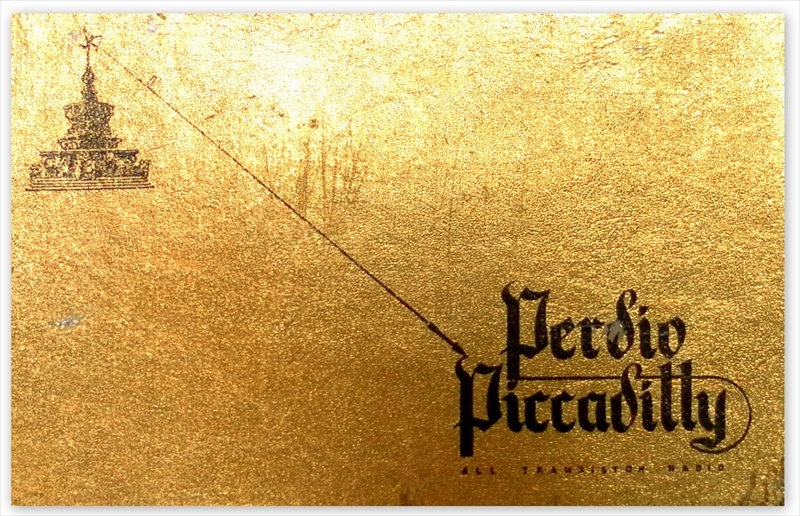 The Piccadilly came packaged in an attractive gold gift box. 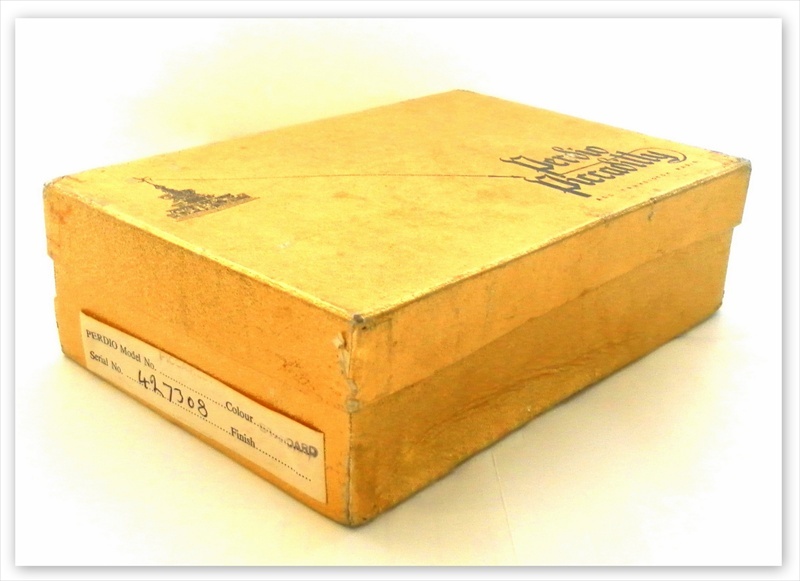 The serial number 427308 is written on a sticker attached to the side of the box and it corresponds to a number stamped on the circuit board. 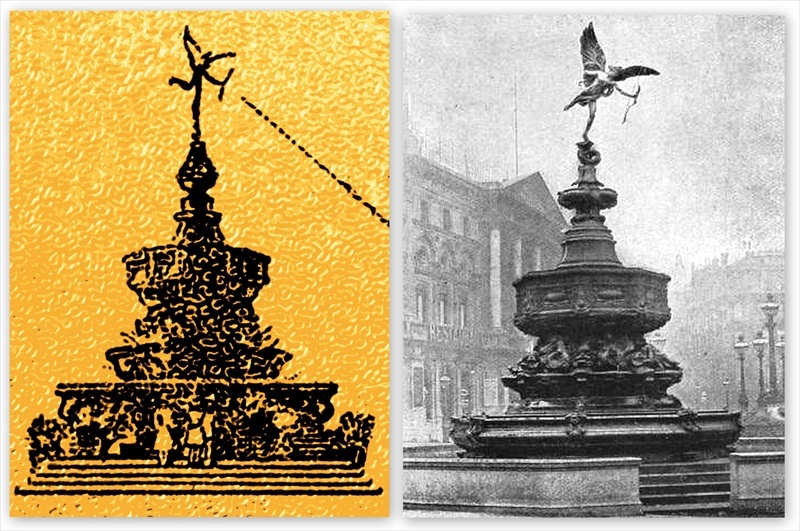 On the front is a picture of the Statue of Eros, unveiled in 1893 in Piccadilly Circus. This Perdio Piccadilly works very well, with good volume and without distortion. It operates on both medium and long wave. It has an aerial socket that can be plugged into a car with the correct adapter and it also has an earphone socket that doubles as a recording socket; simply attach the correct plug to a tape recorder and record your favourite songs! 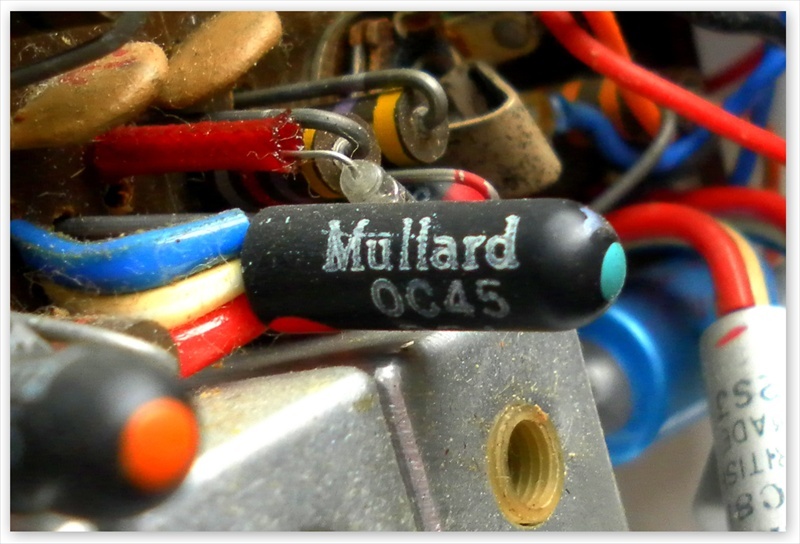 The circuit employs six Mullard PNP transistors and a Mullard germanium diode. 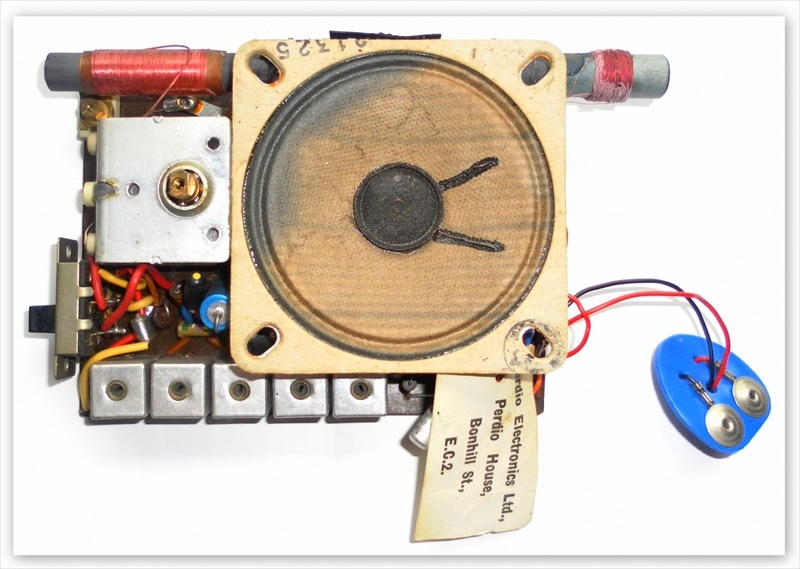 It has a speaker made by Richard Allan Radio Ltd. 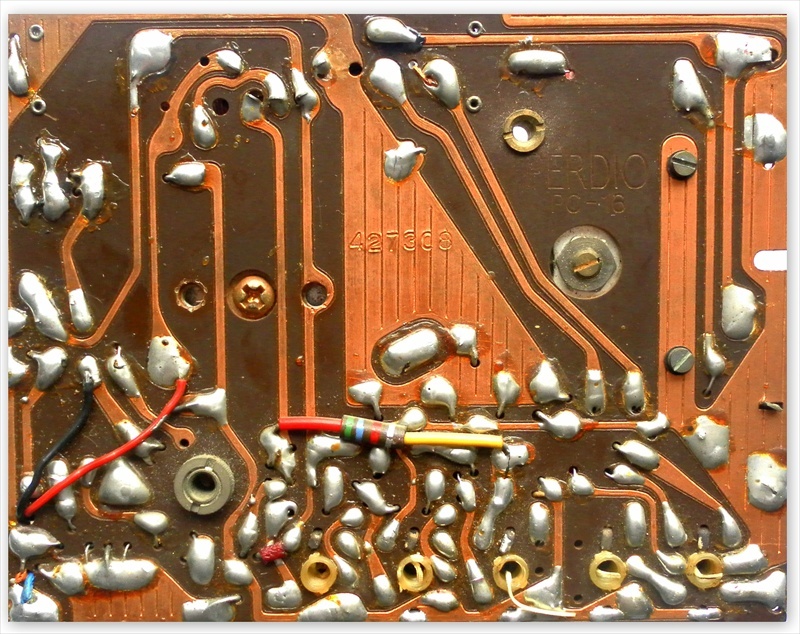 The number 427308 found printed on the circuit board corresponds with the serial number written on the box. This seems to be a common theme with Perdio radios. 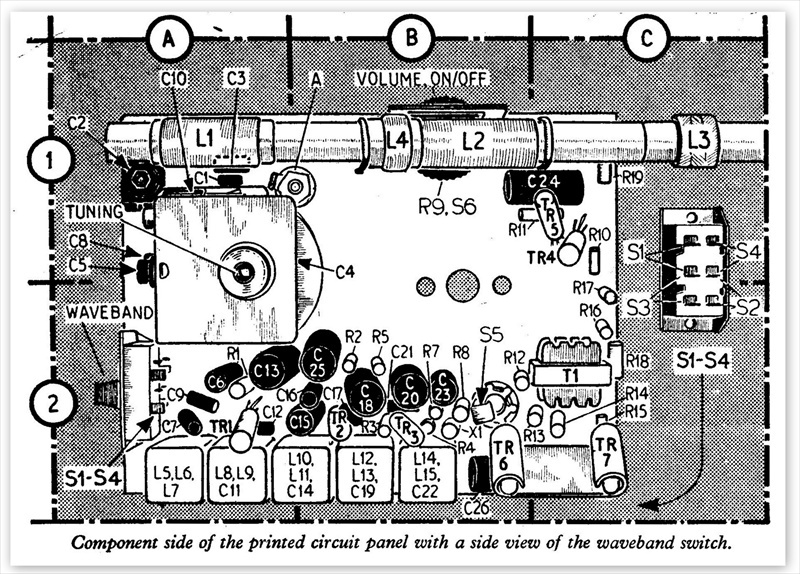 It is quite different to the system used in Japanese portables of this era where the serial number is written on a label attached to either the chassis or inside the back of the radio.